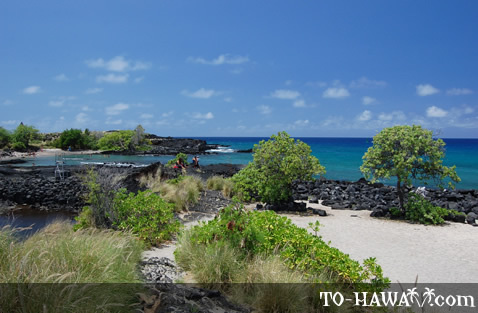 Alula Beach (view panorama), located at the entrance to Honokohau Harbor, is a secluded cove with a small white-sand beach dotted with pieces of black lava rock. 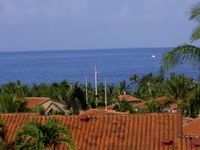 During times of calm waters, the snorkeling conditions are excellent here. 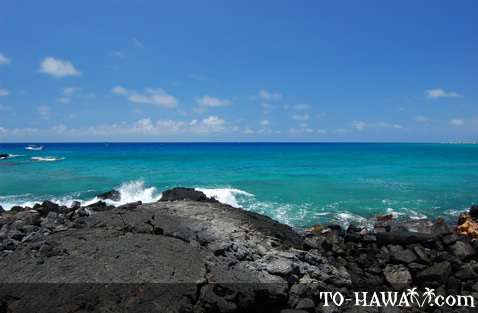 The beach is a popular take-off point for offshore divers and snorkelers. At the far side, you will find dark rock walls that plunge 45 feet (13.7 m) into the water, creating a natural shelter for the colorful fish that inhabit the area. These walls also shield the beach from the tides, making it calmer for swimmers and paddlers. 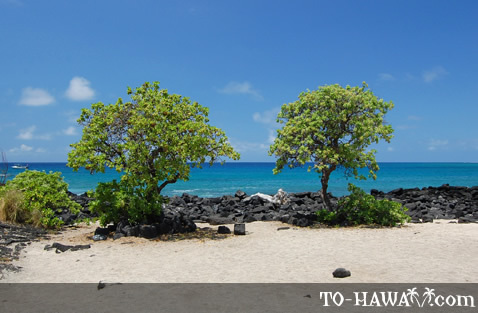 Alula Beach is part of the Kalolo-Honokohau National Historic Park, a 1160-acre (4.7 sq. 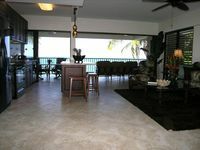 km) preserve dedicated to Hawaiian culture and history. 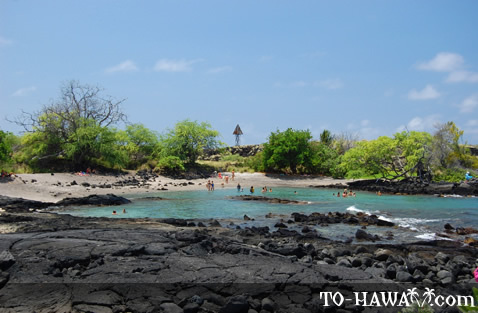 On the way to the beach, you will come across old stone houses, a heiau (an ancient Hawaiian temple) and other small beaches. 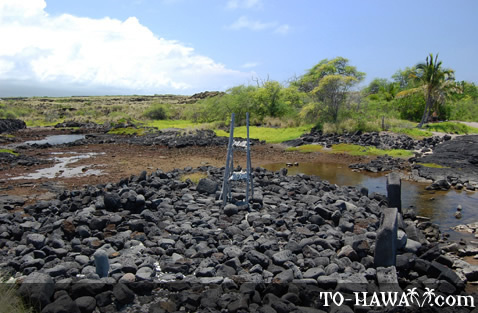 Most visitors actually explore the park before settling on the beach. 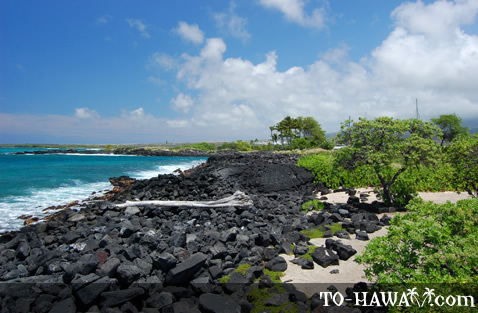 Directions: From Kona drive north on Highway 19. Make a left turn on Harbor Road between Mile Marker #97 and 98. Drive to the south parking lot of the harbor and park. 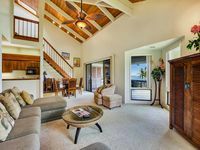 Walk the short distance south to the beach.